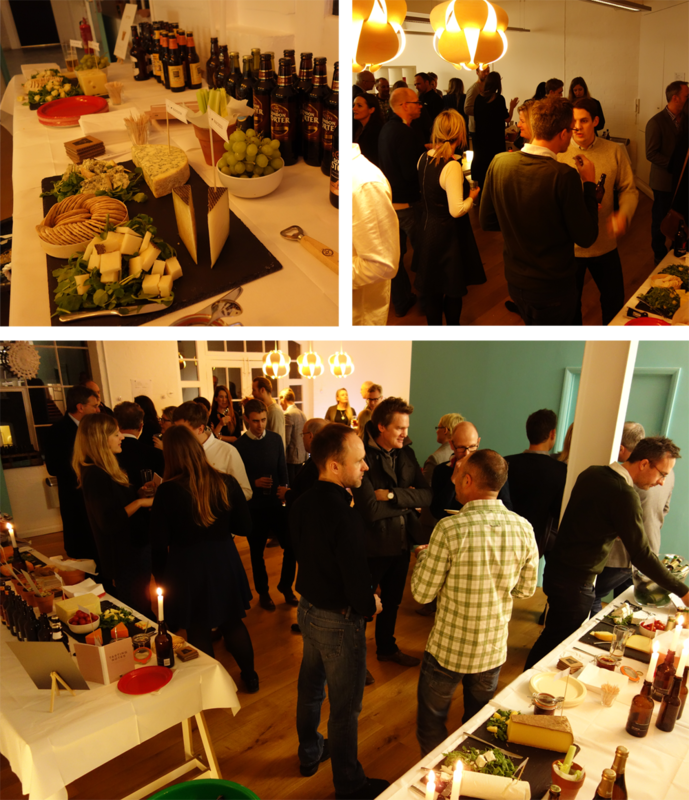 Last night we had our lovely gathering of clients, friends and colleagues. It was a great celebration of another year for The Allotment and was an evening of beer tasting and cheese. So, so much cheese! Thank you to everyone who came along. A special thanks to our Brian and Tom who organised the event and also to Viv, my wife who organised the cheese (I think we will be eating it until 2016!). Also to Mike Feather who took some great pictures – thanks Mike. And finally to all our creative partners – illustrators, writers, photographers who support and inspire us with brilliant words and pictures all year round. A very, very Happy Christmas and New Year to you all.